StimulantsScitec Caffeine - 100 kaps. 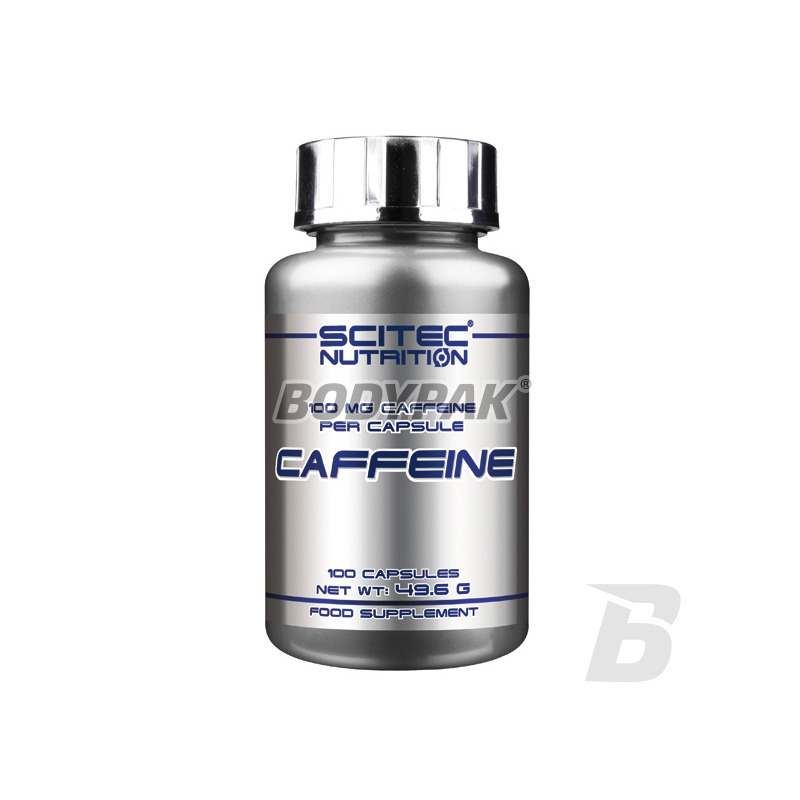 Scitec Caffeine - 100 kaps. 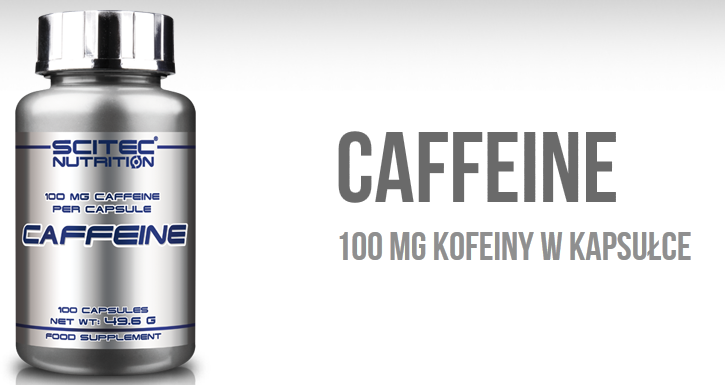 Convenient and effective form of caffeine that provides rapid stimulation and arousal in any situation. Caffeine stimulates the central nervous system increasing alertness, improving concentration and increasing metabolism. 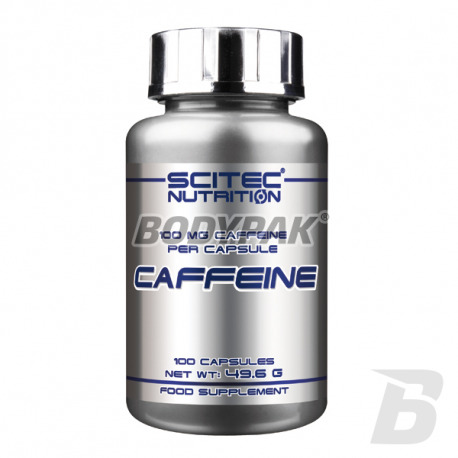 Scitec Caffeine- convenient and effective form of caffeine that provides rapid stimulation and arousal in any situation. Caffeine stimulates the central nervous system increasing alertness, improving concentration and increasing metabolism. Few people realize that pure caffeine provides the effects that we expect drinking coffee. Coffee contains many chemical compounds, some of which neutralize the positive properties of caffeine. However, assuming pure caffeine in optimal doses can be achieved by improving the training results, reduce muscle pain - as proven scientific research. Składniki: Dekstroza, Kofeina bezwodna, Żelatyna wołowa, barwnik (Dwutlenek tytanu). Odpowiednia dawka kofeiny w jednej kapsułce, jak ktoś potrzebuje można przyjąć podwójną dawkę, ale dla mnie wystarczająca jest jedna, bo jestem bardzo wrażliwy na kofeinę. A thoughtful complex of herbs and minerals, which in the maximum possible way of energizing the body - replaces the great cup of coffee!